Weekly Recap #352 March 15th – Warframe, Bless, War Thunder & More! Next up, Grinding Gear Games launched the Synthesis league this week simultaneously for PC and Xbox One, with the long awaited Playstation 4 release on the horizon later this month. Synthesis will have players reassembling the memories of a major figure in Wraeclast’s history and discovering his role in the events of that world. 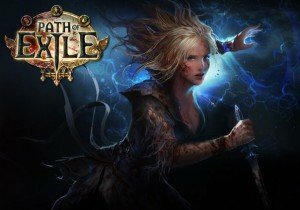 Grinding Gear wants this expansion to be heavily story focused since the intense lore of the Betrayal league was received so well. Once you’ve helped this mysterious spirit reconnect his memories, you’ll play through them as they decay to learn his past and build incredible unique items through the new Synthesis crafting method. For more details on these, check out Colton’s announcement video for the new league on the MMOHuts youtube channel. In another bit of Path of Exile news, Grinding Gear announced the first ever ExileCon in New Zealand this past week! The expo itself will take place on November 16th and 17th and will include previews, massive announcements, competitions, and talks given by Grinding Gear developers. You can grab tickets in the description below. This sounds fun, I would love to go to ExileCon. Prosperous Universe restarted its single-shard game world for the first time since its original launch this week! The reset came as a way to aid the implementation of a mountain of community feedback in a new build. Most of the update is made up of quality of life improvements, anti-exploit measures, and a comprehensive rebalancing. The first access phase of Prosperous Universe will continue following this reset for a few more months, with multiple additional resets to come as more feedback comes in. Once the game reaches its 1.0 state, the world will remain persistent. Totally to be expected for a game early in development. In other news, Project Genesis recently did a Netcode Strength test and released a video to show off exactly how it’s working. They wanted to tackle this important challenge first, and they have a history of putting these greater tasks first. January’s playtest was focused on 4v4 battles, and so for February, they moved forward to 8v8 and worked on the new “breach and board” mechanics. In the videos, viewers might notice that ships have to nudge up against each other. This is necessary for the breach and board mechanic but plans on having assault pods that pierce the un-shielded hulls of capital ships instead. Instead of making two servers to do these tests, they rolled the dice, and put all of the battles on one server; thankfully, the netcode held up during the testing phases. This latest development journal also goes over the particulars of designing interiors and environments for Project Genesis. More info on this can be found in the link below. On a similar note, Novaquark recently pushed the boundaries of what a server can do, with their March 6th Dual Universe test. On March 6th, 2019, 30,000 simulated players were spawned in the game at the same time. They roamed the surface of the planet, with community members also joining in to bear witness to the spectacle. This demonstrates what players can expect with meaningful interactions at scale when the MMO launches in 2020. Whether they are building massive cities or mining on an uncharted moon, it is a sound idea of what you can expect in this Single Shard Shared Universe. Compared with the current world record for “most concurrent players simultaneously involved in a single multiplayer PvP video game battle”, currently set to 6,142 players, Novaquark’s technological feat shows the potential of Dual Universe to offer an unprecedented level of player emergent systemic interactions in a video game. And you thought planetside 2 had large scale battles. Next up if you’re looking for an alpha test to join on a different style game, Steel Circus has you covered. This is a 3v3 sports combat arena style game that kinda reminds us of rugby or soccer with Moba style heroes. Keep in mind the game is in alpha and Jason seemed to have a good time with it. If it catches your interest check out Jason’s preview of the weekend alpha test before hoping in and playing a few matches yourself. Also announced this past week. The latest update for War Thunder, Patch 1.87 is called “Locked On” and it couldn’t be more appropriate. Welcome to the era of Smart Weapons! Radio Detection has arrived, and so has the seventh rank of ground vehicles. With them comes a new class of ground-to-air missiles, and supersonic jets to go along with that. Guided air-to-air missiles have shown up for the Rank V aircraft as well. A new branch of French helicopters is here, as well as new destroyers and light cruisers. A new map also arrives in 1.87, Alaska. Battles in the Alaska map will take place in city streets and in the dense, surrounding forests. 16 tanks, aircraft and helicopters in total have been equipped with radar systems so far, including the first vehicle SAM system in War Thunder – the Soviet 2S6 ‘Tunguska’. It is armed with eight 9M311 surface-to-air missiles that will hunt enemy aircraft with speeds of up to 900 m/s, which can alternatively be used to combat armored ground vehicles. More radar equipped vehicles to come – including for Naval forces. Like other games in the news this week this is a huge update for War thunder. Moving on, Gameforge is proud to announce the 10th anniversary of Runewaker’s Free-to-Play MMORPG, Runes of Magic. The celebration started on March 10th and tons of events will run until the end of the month. Players who have accounts that are 10 years old will receive an exclusive package – the “Legend of Taborea” costume set, as thanks for a decade of adventuring. Those who have an account that is 7 years or older will receive the “Hero of Taborea” costume set to wear proudly. The boosts and login events began back on March 10th and will run until March 19th. Players are also invited to join a special exchange event that will begin on March 22nd and last until March 31st. There will be plenty of festivities and events going on this month, which includes some special surprises we were not privy to. If you’re a fan of Runes of Magic, don’t miss out on the fun! The inspiration behind games such as RimWorld, Minecraft, Prison Architect and so many more, Dwarf Fortress is coming to Steam! Continually developed over 16 years, this lifetime “living” project is going to continue to be free to play and developed for the foreseeable future. Tarn and Zach (developers behind Dwarf Fortress) have decided to add the game to Steam also due to some health issues, and while we do not wish to disclose further details, our best wishes are with them. Due to the uncertainty of Patreon, they decided to move the game to Steam as well as an additional means of support. The premium version will have a few special features, such as graphics by default, access to Steam Workshop, and auto-updates. You can absolutely still play Dwarf Fortress for free, and it will continue to be updated alongside the premium versions – only without the new art, music, Steam features, et cetera. Next up, A new content update has arrived for the co-op Action RPG Dauntless, and with it comes a new Behemoth – Boreus. This frost-powered Behemoth is the first that can summon a swarm of lesser minions to its aid. It’s better to consider it a group of creatures instead of just one monster. It can summon three distinct minion types to aid it/assault Slayers. With Boreus also arrives Hunt Pass Season 3: Overgrowth. Arriving alongside the Behemoth, this new seasonal event runs from March 13 to April 16 and gives Slayers the opportunity to earn a full set of Farslayer gear, including the first-ever transmog for the Ostian repeaters. Emotes, epic flares, and other rewards dot both the Elite and Basic Hunt Pass tracks as well. The update also brought a new UI for Slayer loadouts, updated attacks/combos for the Hammer weapon and more. Pretty beefy update to dauntless if you ask me. Two weeks ago, Black Desert began their Third Anniversary celebration, and today they have announced the events that conclude it. Touted as some of the “best in-game events that have been organized in recent history”, they offer some pretty serious rewards for any who participate. Starting recently is the “Glimmering Old Moon” event, which will last until April 10th. Daily Challenges and Event-Quests will yield special items such as Secret Old Moon Letters and different colored Moonlight Shards. The latter can be used to enhance Old Moon accessory items that are rewarded by completing quests which are given by NPCs who reside in Heidel’s Valley Lily Inn. Beyond just that, Pearl Abyss announced recently that the first content expansion for Black Desert Online‘s Xbox Release is now available. This free update follows the successful launch that necessitated increased server capacity and in-game events. Part of this update is a console-exclusive storyline, alongside some other fun new content. The level cap was removed, and a PVP area, Red Battlefield was introduced. Players will also visit Altinova, the heart of Mediah to follow the main storyline. There is also powerful new armor to collect, such as the Kaia Gear and Dim Magical Armor. Further details can be found in the blog post below. 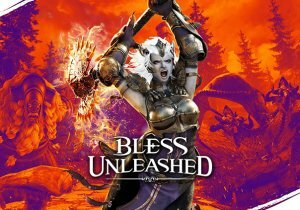 In more MMO news, Bandai Namco revealed a new class trailer for the upcoming Bless Unleashed – the mighty Berserker. The Berserker is built for close combat, dealing powerful attacks to multiple enemies. They can stand fearlessly before the mightiest of beasts and men. Berserkers also wield a two-handed axe to obliterate anything in their path. From the gameplay trailers this class looks pretty sweet. Also this past week, Hearthstone revealed their next expansion, coming on April 9th, 2019 – Rise of Shadows. Rise of Shadows will feature 135 cards, and players will join a group of ne’er-do-wells, the League of E.V.I.L.. With Rise of Shadows comes a new mechanic, “Lackeys”. Five new Lackeys will come in Rise of Shadows, which are 1/1 minions with Battlecries. The accompanying PVE adventure will arrive in May for this expansion and is bigger than ever before. The first chapter of the upcoming solo adventure is free, and additional chapters will be unlockable for 19.99, or 700 gold per chapter. On April 5th, right before the Pre-Release, players will be able to claim a free Legendary card and use it immediately in Play Mode and at Pre-Release events. At launch, a quest chain will become available that rewards multiple card packs for the Rise of Shadows and Year of the Raven expansions. Additionally, during the first week of the expansion’s release, the Shadow Bundle will be available, containing nine Rise of Shadows card packs and an Arena ticket for $9.99 and of course players can purchase the bundle only once per account. All the updates and announcements are pretty big this week if you haven’t noticed. And finally for our last bit of news, mentioned last week, Jason’s Smite review for the latest God, Jormungandr is live over at MMOHuts.com. Not to spoil anything if you want to check it out yourself, but Jason’s a bit worried about the potential for massive amounts of damage coming from a guardian. To add to the excitement MMOHuts also has a giveaway going on for some wolfsbane skadi skins so be sure to catch one of those while they last.